Learn simple techniques that you can easily implement to immediately change your relationship with money. Learn the Four Types of Spending and how they impact your bottom line. Learn the Three Types of Earning and why you'll never feel abundant if you're working a job you hate. Learn how to use the Abundance Scale to change the way you think, feel, and act around money. Find out why your relationship with money isn't about the numbers (or lack thereof) in your bank account. This quick-read is an easy-to-use guide to help you permanently find relief. You live paycheck to paycheck and don’t know how to break the cycle. You have debt and you want to eliminate it, permanently. You want to earn more but don’t know what’s stopping you. You have guilt, worry or anxiety about money. You want to create a lasting sense of financial security. You want to have better financial self-esteem. This is the companion workbook and journal for Money Love. The workbook is separated into six weekly topics -- Preparing for the Truth, Opening Your Eyes, The Truth About How You Spend, The Truth About How You Earn, Recovering from the Truth, and Practicing the Truth -- each week offers daily journal prompts for self-guided money work. This a great addition to Money Love and will help you keep a personal record of your work. If you're really serious about changing your relationship with money, I recommend purchasing Money Love Workshop: Self-Guided Course which includes a digital copy of Money Love, this workbook, plus thirteen audio lectures to help guide you . The unabridged audio of Money Love read by Meadow. Learn simple techniques that you can easily implement to immediately change your relationship with money. Learn the Four Types of Spending and how they impact your bottom line. Learn the Three Types of Earning and why you'll never feel abundant if you're working a job you hate. Learn how to use the Abundance Scale to change the way you think, feel, and act around money. Find out why your relationship with money isn't about the numbers (or lack thereof) in your bank account. This audio book is an easy-to-use guide to help you permanently find relief. From 2009 to 2018, I taught weekly online classes for a world-wide group of inspired women that radically changed their lives from the inside out and learned how to live a life that they love. They called themselves The Rowdies. Tao (pronounced 'dow') is an ancient Chinese word meaning 'way' or 'path.' 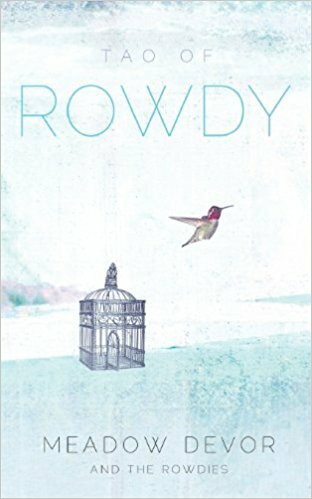 In this book, you will be given tools in the form of Rowdyisms that will start to show you this 'way' of living a Rowdy life. This book is a collection of essays written by Meadow DeVor and The Rowdies written in 2013. In it, you'll find lessons on boundaries, truth telling, self-compassion, courage, money love, body love, vulnerability and more. This is the companion workbook and journal for The Tao of Rowdy. Beautifully designed, full-color pages, help create a beautiful and sacred space to transform your life. From 2009 to 2018, Meadow DeVor taught weekly online classes for a world-wide group of inspired women that radically changed their lives from the inside out and learned how to live a life that they love. They called themselves The Rowdies. Tao (pronounced 'dow') is an ancient Chinese word meaning 'way' or 'path.' In this book, you will be given tools in the form of Rowdyisms that will start to show you this 'way' of living a Rowdy life. This book is a collection of essays written by Meadow DeVor and The Rowdies written in 2013. In it, you'll find lessons on boundaries, truth telling, self-compassion, courage, money love, body love, vulnerability and more.